In 2017-18 academic year we are supporting a programme of activities for more than 50 children of Safonovo Orphanage run by Deti Nashi ('Our Children') charity. Deti Nashi ('Our Children') is a well-established Russian charity whose mission is to prevent children from being placed in state institutions and to help orphaned children successfully integrate into society. For more than a decade Deti Nashi has been helping bring the life of abandoned children to normality, and to equip them with the skills needed for a happy and fulfilled adulthood. ArtSocial Foundation is happy to work alongside Deti Nashi to help these children discover the world of creativity. 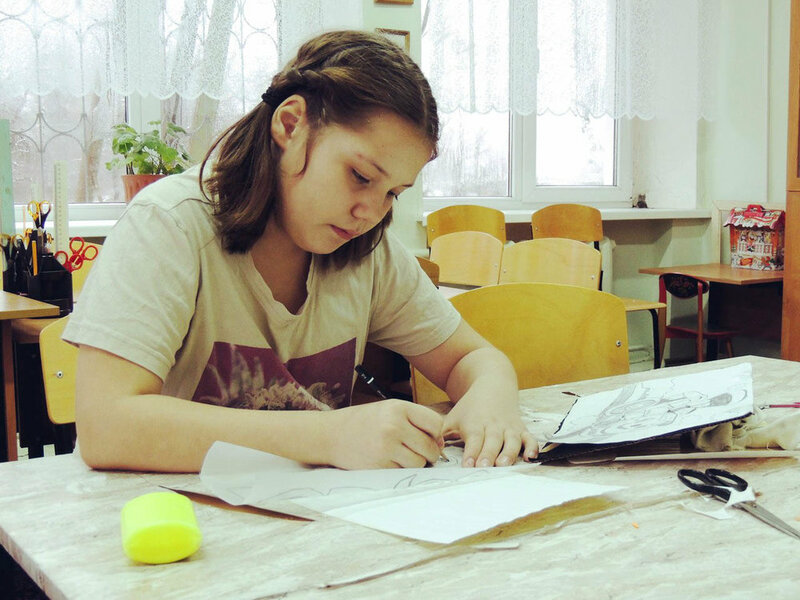 We have funded an ongoing programme of creative classes and workshops for the children of the Safonovo Orphanage in the Smolensk Region of Russia.